Acute Care Occupational Therapy: A Dying Art? This is Part 1 of a series about OT’s role in the acute care setting. In August 2018, I had my one year anniversary as an OT working in an acute care hospital setting. If you’d asked me two or three years ago where I thought I’d be working, I NEVER would have thought I’d be in acute care! Ironically, my first-ever OT fieldwork experience was with an acute care OT at a large teaching hospital, and while I enjoyed the learning experience I was certain that the setting was not for me. I disliked the hectic pace, limited opportunities for occupation-based practice, and short time spent treating clients. Ultimately, I felt that I was better suited for a setting where I would be able to do things with clients that initially drew me to the profession – such as cooking, leisure activities, home modification, and community outings – and acute care didn’t seem conducive to any of these goals. Fast forward three years, and I found myself working with a small team of OTs and one OTA at a 650 bed community hospital on an interdisciplinary acute rehab team. Initially I spent much of my time on the ortho floor, evaluating and treating patients after hip, knee, and shoulder surgeries. From there, I branched out into providing care for patients on the neuro, general medicine, oncology, bariatric, intensive care, and cardiac units. 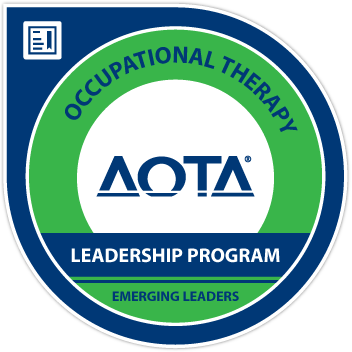 It has been a whirlwind experience, and I am learning something new every day – including what my managers, coworkers, and teammates believe is “within the scope” of OT practice in the acute care setting. I don’t always see eye-to-eye with them about what types of OT interventions are appropriate in the acute care setting, but our ongoing discussions and my desire to learn more inspired me to dig into the literature, talk with professional mentors, and reach out to other acute care OTs to learn how how I could serve hospitalized patients while still practicing in a way I know is skilled and demonstrating my distinct value as an occupational therapist. Read on to learn more about the precarious position of acute care occupational therapists in today’s demanding healthcare environment. This post is part of a series on evidence-based practice in OT. Read the previous posts in the series here, here, and here. Many rehab therapists have fallen prey to using fad treatments that have little or no evidence to support them. There continue to be many lively Facebook debates and polarized opinions about various occupational therapy interventions. Those who believe the intervention is effective make a point of highlighting the many clients they’ve treated who have experienced significant gains, and non-believers turn their noses up and ignore on any evidence presented by those on the other side. As I’ve stated in previous posts about evidence-based practice, the issue in these cases is not whether to use new interventions without a ton of research evidence behind them, but the lack of clinical judgment and application of evidence-based practice principles when choosing and using OT interventions. For example, in one setting where I worked I witnessed a department of over 50 experienced and intelligent clinicians buy into the promises of an intervention with only weak evidence to support it due to its extreme popularity in the pediatric professional sphere. No matter that this intervention required costly trainings and materials, was unlikely to be generalizable outside of a highly specific context, and was barely occupation-based – therapists wanted to learn it anyway! I was shocked that the department was spending limited continuing education funds on a popular pseudoscience program rather than a well-researched, evidence-based training that could help clinicians obtain better functional outcomes for young clients. Unfortunately, this is the case in many settings and with many practitioners. The goal of this post is to closely examine one such program and break down how principles of evidence-based practice can be used to help make a determination about the validity, clinical applications, and utility of this program for occupational therapy practitioners. Read on to learn more about whether the widely-used Bal-A-Vis-X program is an evidence-based intervention or a highly-flawed fad! Current literature indicates that many healthcare practitioners – including OT practitioners – are failing to identify or utilize high-quality, up-to-date sources of evidence and are instead relying on personal experience, popular media, and outdated treatment protocols to provide intervention. I have observed firsthand the difficulty of integrating evidence into practice during my OT education and employment experiences. During one of my fieldwork placements, a veteran fieldwork educator with 15+ years of experience gave the same home exercise program (HEP) to every client she saw, despite their diverse diagnoses and abilities. Although one could argue that upper body strengthening may be generally helpful for any person who is recovering from illness or injury, I began to wonder whether or not giving the same handout and Theraband to every client was actually benefiting them. In short, what was the evidence supporting this practice? The fieldwork educator certainly wasn’t harming any of the clients by giving them a generic home exercise program. But not causing harm isn’t a particularly good reason to use a treatment or intervention. By that logic, you could provide any treatment whatsoever as long as you aren’t hurting your patients! It seemed to me like this supervisor had simply included “home exercise program” as part of her routine, rather than carefully considering each person’s condition, learning style, or level of health literacy and incorporating this information into her plans of care. I don’t fault my fieldwork educator for her actions; since joining the workforce I’ve experienced firsthand how challenging it can be to ensure that the interventions I provide are evidence-based. It’s exhausting to spend all day treating patients, answering emails, talking with interdisciplinary team members, documenting, and going to meetings – some days it feels like Googling an unfamiliar diagnosis is the most than I have the time or energy to do. Despite this, I push myself every week to read an article, pick a coworker’s brain, talk with a mentor, or find another way to continue incorporating evidence into my everyday practice. And I’ve found that while it’s not always easy, it is always worth it to find evidence to support the interventions I provide and grow my knowledge base and clinical skills. Why Is It So Hard to be an Evidence-based OT? According to AOTA, “Evidence-based practice (EBP) is based on the integration of critically appraised research results with the clinical expertise, and the client’s preferences, beliefs and values” (American Occupational Therapy Association, 2017). Essentially, it is a complex balancing act between the clinician’s knowledge and experience, high-quality research, and client factors. Maintaining equilibrium between these three factors is crucial to ensuring high-quality, evidence-based occupational therapy practice. By focusing too closely on research results, a clinician risks ignoring client preferences and discounting the value of their own clinical expertise. By relying too heavily on personal and professional experience, a clinician may fail to remain abreast of relevant research and acknowledge client opinions and preferences. By concentrating too much on client factors, a clinician may reject or ignore clinical experiences or evidence that doesn’t precisely match the client’s background or health condition. Although the definition of evidence-based practice is clear, the implementation of evidence-based practice is much more difficult. when reviewing or changing their practice. From this evidence there would appear to be a mismatch between the accepted hierarchy of evidence for EBP and the value therapists place on various sources of evidence. Taken together, the data from professional literature, published studies, and my own professional and clinical experience suggest that while many therapists understand the value of evidence-based practice, they do not consistently use an evidence-based approach to practice. It is also apparent that there are many therapists who do not appear to understand the meaning or importance of EBP, and these individuals may be damaging our professional reputation – or worse, clients – by using unproven interventions with unpredictable outcomes. This struggle between overreliance on experience and the skilled integration of multiple types of evidence in OT practice that Taylor described is exemplified in the following social media “case study” that will be the focus of this post. The screenshot below was originally shared in the Pediatric Occupational Therapy Facebook group, and it was the spark that ignited a heated discussion about evidence-based practice – specifically, what constitutes “evidence,” the use of evidence in OT practice, and the importance of fact-checking and clinical reasoning when making treatment decisions. The resulting dialogue demonstrates just how charged and complex the conversation about EBP continues to be in everyday practice and professional circles. Although it is only a single discussion thread, this online debate was a largely accurate representation of the current state of evidence-based practice in occupational therapy and many other health professions. Additionally, it provides eye-opening, concrete examples of the aforementioned barriers to evidence-based practice from the perspectives of everyday practitioners. Note: I have preserved the sequence and overall flow of the discussion while removing some unrelated comments for the ease of reading. Unfortunately, these commenters and several others clearly demonstrated the way in which many OT practitioners fail to use a well-balanced, evidence-based approach to OT intervention and choose instead to place more confidence in personal experiences or anecdotes than high-quality research or other reputable sources. As the discussion wound down, it became clear that there was a divide between clinicians who continued to believe in the efficacy of the treatment based on the website’s provided “literature” and personal anecdotes and those who remained highly skeptical of it. However, the well-reasoned and intelligent statements from multiple clinicians advocating for a multi-pronged approach to evidence-based practice demonstrate that it is crucial to understand the complexity and value of multiple types of evidence for providing high-quality, patient-centered, and effective OT services. Disappointingly, despite the many comments advocating for a more evidence-based approach to practice, other participants in the conversation continued to cite the “lack of evidence and research in OT” to support their continued use of treatments that have limited evidence for their effectiveness. It is not the use of “untested” interventions that is the most alarming in these scenarios – every treatment has been “untested” at some point, and clinicians can collect valuable data on outcomes for clients who receive new or emerging interventions that can help inform practice. Rather, it is these clinician’s seeming inability to critically analyze evidence, overreliance on personal experience and outdated information, and outright dismissal of available evidence or cautionary advice to justify their use of fad “interventions” with little or no proven impact on functional performance that is most distressing and potentially dangerous. In addition to relying too heavily on anecdotal experience, individuals who appear to be unfamiliar with the multifaceted nature of evidence-based practice frequently used a bandwagon approach (“Everyone is using it, so it must be OK”) and the “lack of evidence for OT” excuse (which I disprove here) as the basis for clinical decision-making regarding the use of reflex integration, Astronaut Training, the Masgutova method, and other controversial interventions. It’s true that dismissing new approaches or interventions simply because they are new and as-of-yet untested can limit treatment options that may be beneficial for clients. However, it is important to recognize that many healthcare interventions are not “minimized” because they are new, but because they are untested or unproven. Just as physicians and public health officials are cautious when recommending newly-developed drugs or treatments, occupational therapy practitioners should take a measured, evidence-based approach to using any interventions without sufficient evidence to determine clear risks and benefits to clients. New treatment approaches should never be outright dismissed, but it is the practitioner’s responsibility to educate patients about the emerging nature of the treatment, carefully review all available evidence, and monitor closely for negative outcomes and functional outcomes linked to changes in occupational performance. By ignoring this responsibility, OT practitioners are taking a dangerous approach to professional practice with potential ramifications at the individual, population, and even policy levels as our professional credibility is damaged or diminished by the use of ineffective or sham interventions. Again, this isn’t to say that clinicians should never try new treatments with clients just because they don’t have multiple research studies backing them up. However, it is important to implement the principles of evidence-based practice when trying new interventions – by conducting a thorough review of available information and literature, thinking critically about the intervention’s mechanisms and goals, and considering how it will impact a client’s occupational performance before and after implementing it. In the future, I hope to see more occupational therapy practitioners taking the time and effort to identify, analyze, and apply high-quality evidence across practice settings and patient populations. Ultimately, dialogues like the one above indicate that we are making progress towards this goal, but that we still have a ways to go. Like most OT practitioners, I’ve had wonderful and terrible experiences with evidence-based practice. I’ve worked with clinicians across the spectrum – from those who are up-to-date experts in their practice area to therapists whose only sources of evidence were Pinterest and occasional chats with coworkers. At first I was quite confused by these statements. After all, I spent two years in a master’s program learning about different types of evidence that validate and legitimize the practice of occupational therapy – so how could these people say there wasn’t any evidence for OT intervention? It didn’t make any sense. But as I joined the workforce and began spending more time at professional conferences, team meetings, and other events I noticed that few people cited anything other than their own experience, outdated trainings, or anecdotes from friends to back up what they were doing with their clients. Despite the professional push for evidence-based practice, countless news stories about the value and impact of OT, and my professors’ unending lists of references and clinical experience with the methods and information I learned, it seemed that many of the clinicians I interacted with did not use or even believe in a multifaceted, evidence-based approach to practice. The holidays are fast approaching, and I’m here to make your gift-giving for fellow OTs easy! In true OT-addict fashion, even my personal gift-giving style just screams “occupational therapist!” I love giving fun, functional, and meaningful gifts to my friends and family, and shopping on Etsy makes it easy for me to find gifts that will make everyone on my list happy. In case you haven’t shopped on Etsy before, the site is basically a huge online “maker marketplace” where crafters, artists, designers, and creators of all kinds set up virtual shops to sell their wares. It’s truly an amazing testament to the unlimited creativity that exists in the world, and you can get lost on the site for hours, sidetracked from your original mission by pages and pages of cool creations. As an added bonus, Etsy makes it easy to shop local for the holidays. In addition to sorting items by price, relevance, and other categories, you can search for goods by geographic area to find local shops or gifts nearby. So now you can shop local from the comfort of your own couch! Read on to find fun and functional gift ideas for every OT on your list!